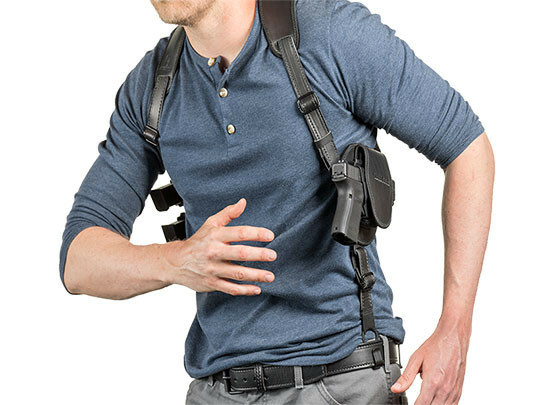 When Alien Gear set out to create a Smith and Wesson Shield 40 shoulder holster, we wanted to offer one without the pitfalls of the typical shoulder holster. 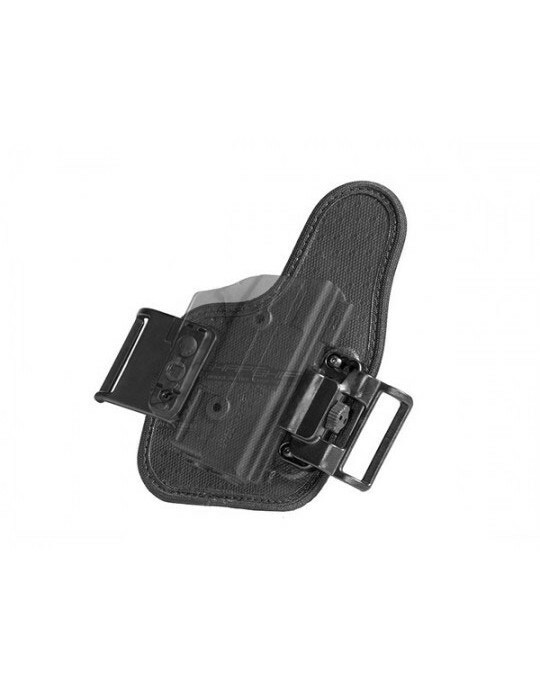 For instance, the typical shoulder holster for Shield 40 pistols wears either vertically or horizontally; you have to choose which you prefer. 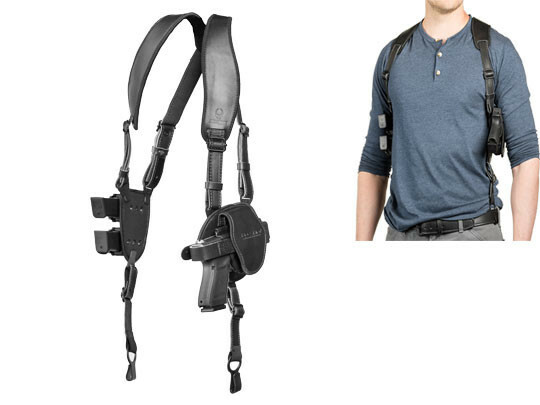 A number of shoulder holster designs also don't offer a lot of support, as you just put it on and have to be content with how it sits on the shoulder. 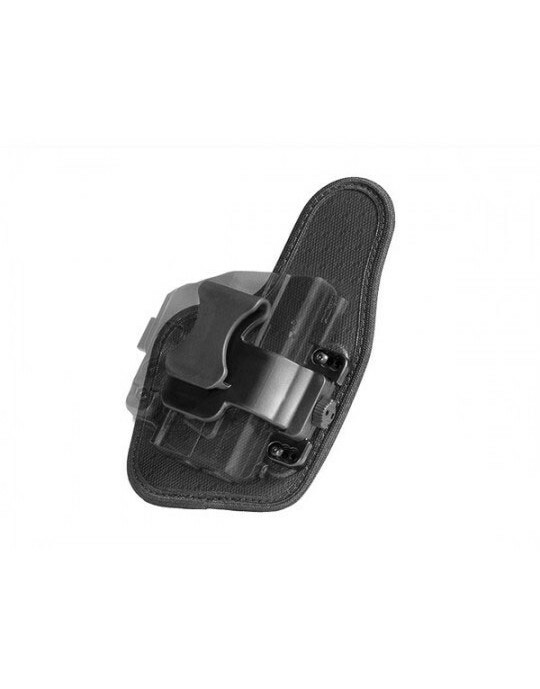 You don't always get the adjustability that you'd like to find a comfortable setting for carry, and the holster itself doesn't always give you the best fitment or retention. 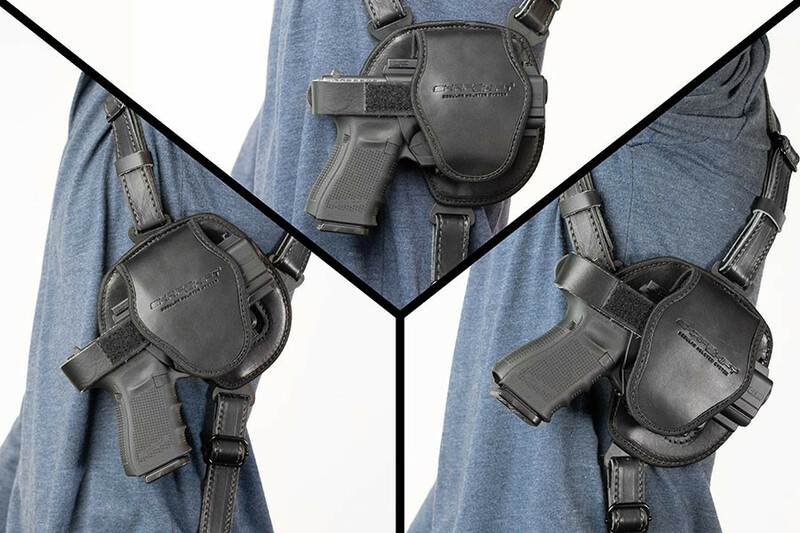 This Shield 40 shoulder holster starts with a ShapeShift half-shell, custom-molded for your Shield 40. Passive retention is fully adjustable, and a thumb break is also included in case you wish to carry with one. However, it can be removed if you don't. The shoulder straps are padded for comfort with our CoolVent neoprene, cushioning as you wear it, breathing against the skin and wicking away moisture. 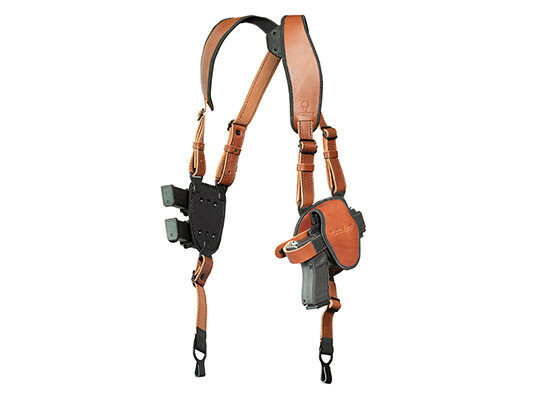 Comfort was a design priority from the start, as the clover harness allows the straps to adjust as you wear the holster and settle in a natural position. 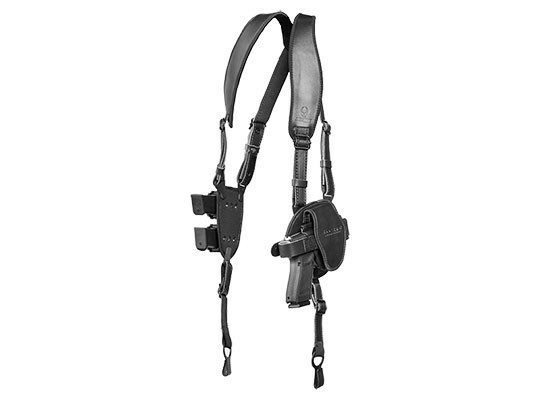 The straps of our Smith and Wesson Shield shoulder holster are also adjustable, with belt clips that anchor the holster and distribute weight better than many other shoulder holster designs. 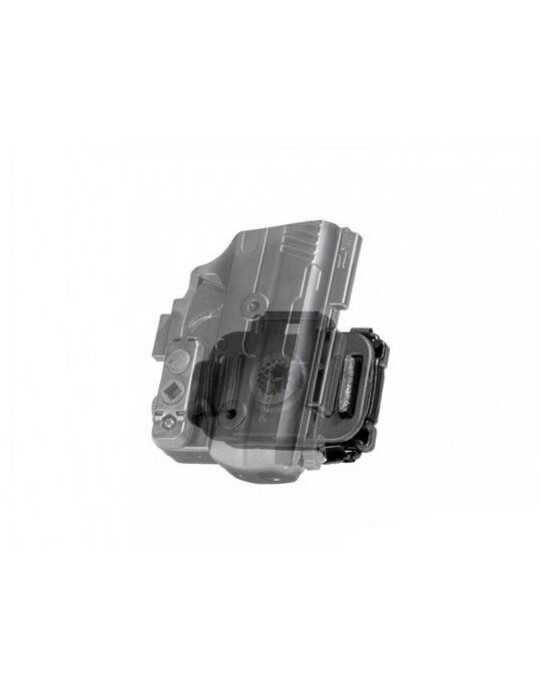 That also helps bring the gun closer to your side, aiding concealment. Set ride height to your preferred location. 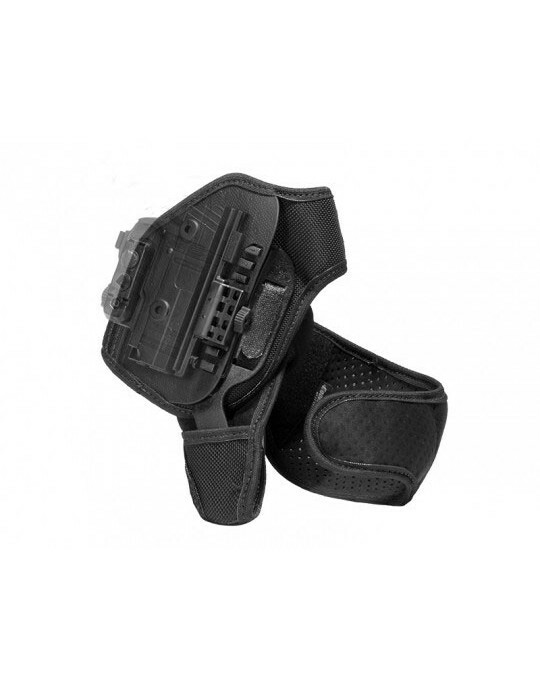 Grip cant is also adjustable, as the holster can be worn horizontally, with a positive or negative cant, or fully vertical. 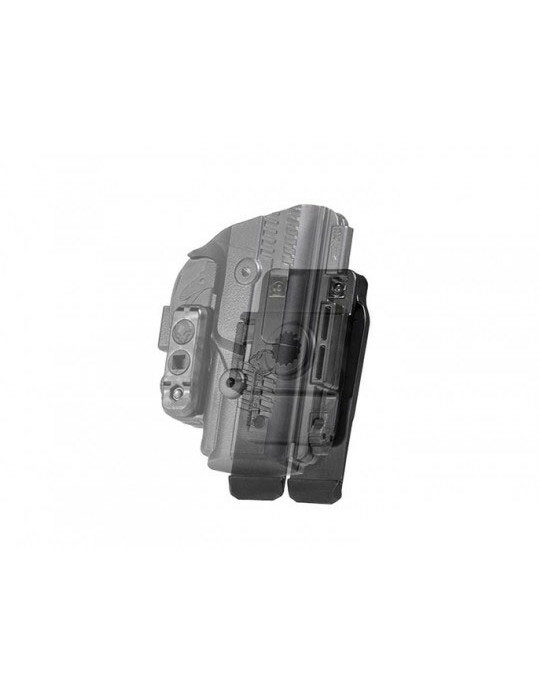 We also include a magazine carrier base, which can be equipped with two Alien Gear Cloak Mag Carriers. 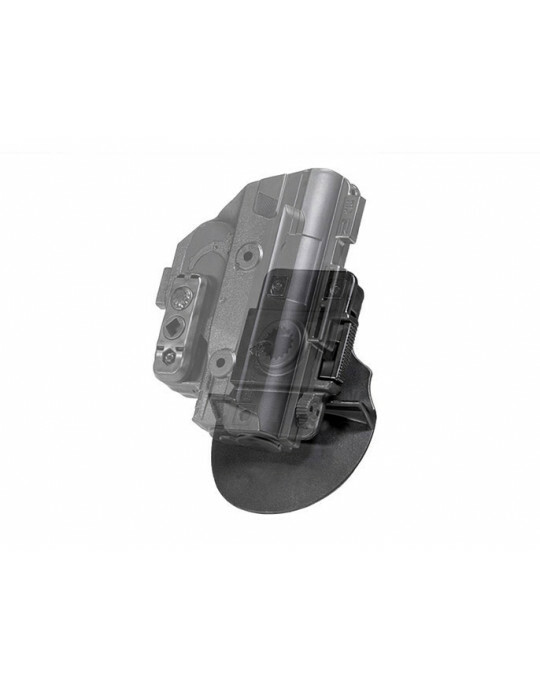 You also get the benefit of Alien Gear's Iron-Clad Guarantee, which includes a 30 Day Test Drive trial period after purchase and a full, comprehensive lifetime warranty on the holster itself. 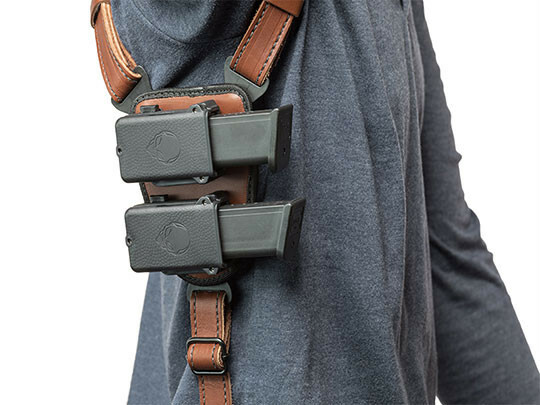 It's time for a better take on shoulder carry. This is what that looks like.